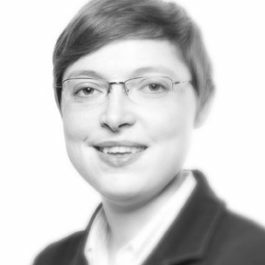 Rachel is an established senior junior barrister who’s practice is focused on criminal, professional disciplinary and regulatory law. She has a particular expertise in cases involving mentally disordered or vulnerable defendants, complainants or witnesses and is therefore frequently instructed in cases where defendants have mental disorders or challenging behaviour. Rachel has frequently been commended for her ability to maintain productive and harmonious client relationships whilst dealing with challenging behavioural issues. Rachel is also regarded as a tenacious trial advocate and is regularly instructed to both prosecute and defend in serious criminal litigation, both as the trial advocate or as junior counsel. Her practice encompasses the full range of cases including: murder and manslaughter, serious sexual and violent offences; large-scale drugs conspiracies; firearms and armed robbery offences; and serious fraud offences. In professional disciplinary areas Rachel has significant experience in representing medical professionals in tribunal hearing instigated by their regulators. Rachel has represented clients at all levels before the GMC and NMC. Prior to coming to the Bar Rachel worked for the Healthcare Commission and would routinely review treatments with medical experts. She has applied to this her practice in medical practitioner defence, and has considerable experience in dealing with medical, technical and expert evidence. Rachel is therefore very well placed to deal with allegations that arise from both criminal misconduct and also negligence. In other regulatory areas Rachel has particular experience in prosecuting and defending in regulatory offences dealt with in the criminal courts. She has particular expertise in prosecutions brought by Local Authorities. Areas of expertise include: health and safety, trade descriptions, food safety, fire regulation and environmental offences. Prior to joining the bar Rachel was a legal adviser in the Magistrates Court and so has extensive knowledge of road traffic law. She continues to undertake this work in the Magistrates Court on a privately instructed basis. Rachel is authorised to accept public access instructions.